Central Railway Recruitment 2019: Central Railway / www.cr.indianrailways.gov.in is conducting recruitment processes to fill 3 vacancies. As of now, there is one recruitment drive going on for Walk in for Sr. Resident Posts - Dr. BAM Hospital Byculla. Central Railway Recruitment 2019 - Job notification for Accounts Assistant Post in Central Railway, Mumbai, Maharashtra on Re-employment. Applications are invited by Central Railway on or before 04 Feb 2019 for 2 vacancies. 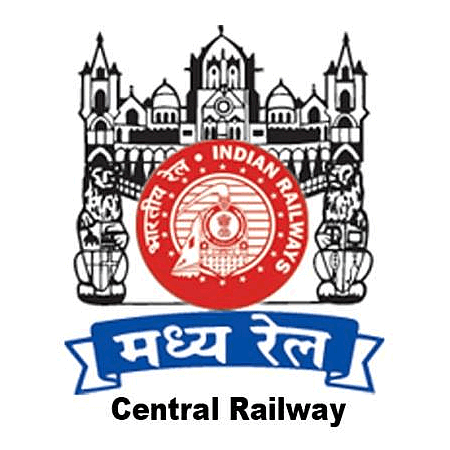 Central Railway Recruitment 2018 - Walk in for Senior Residents Posts in Central Railway, Mumbai, Maharashtra. Candidates are invited by Central Railway to attend walk-in-interview to be held on 07 Jan 2019 12:00 PM for 5 vacancies. Central Railway Recruitment 2018 - Job notification for 78 DEO/ Executive Asst/ Digital Office Asst Posts in Central Railway, Mumbai, Maharashtra on Contract Basis. Applications are invited by Central Railway on or before 11 Jan 2019 05:00 PM for 78 vacancies. Central Railway Recruitment 2018 - Job notification for 1047 Retired Staff Posts in Central Railway, Maharashtra on Re-employment. Applications are invited by Central Railway on or before 30 Nov 2018 for 1047 vacancies. Central Railway Recruitment 2018 - Apply Online for 21 Sports Quota Posts in Central Railway, Across India. Online Applications are invited by Central Railway from 12 Nov 2018 11:00 AM to 26 Nov 2018 05:00 PM for 21 vacancies. Central Railway Recruitment 2018 - Job notification for Sr. ASV/ ASV Posts in Central Railway Pune, Maharashtra on Re-employment. Applications are invited by Central Railway on or before 10 Nov 2018 for 2 vacancies. Central Railway Recruitment 2018 - Walk in for Senior Resident Post (Oncology) in Central Railway, Maharashtra. Candidates are invited by Central Railway to attend walk-in-interview to be held on 18 Oct 2018 11:30 AM.